Are Omega-3 fatty acids really that important? The three types of Omega-3 fatty acids include alpha-linolenic acid (ALA), eicosappentaenoic acid (EPA), and docosahexaenoic (DHA). 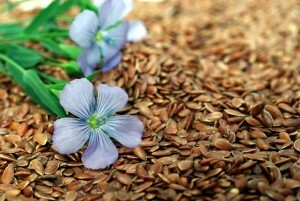 ALA is derived from plants like nuts and seeds including flax seed, chia seed and hulled hemp seeds. EPA and DHA are derived from marine oils like fish, krill, squid and kelp. Do Omega 3 fatty acids decrease inflammation? The ultimate goal of using omega-3 fatty acids is to reduce inflammation. Inflammation is your body’s response to stress, whether from diet, lifestyle or environment. Chronic, low grade Inflammation has become a health epidemic which destroys the body’s natural immune system and ultimately results in disease. Do most people consume too much Omega-6 fatty acids? Most people fail to consume sufficient amounts of omega-3 fats, which makes omega-3 deficiency the sixth largest killer of Americans. The typical American consumes way too much Omega 6 fats, and not nearly enough Omega 3 fats. Ideally we should consume a ratio of Omega 3 fats to Omega 6 fats of 1:1. As our diet has changed in the last hundred years, we are now consuming a ratio more like 1:30, and some estimates are as high as 1:50 (fast food consumers). This is why our modern diet is correlated with many inflammatory diseases. Omega-6 is primarily sourced from corn, soy, canola, safflower, and sunflower oils. When you look at the packaging of most processed foods, you see these ingredients at the top of the list. This includes food favorites like potato chips, cookies, chocolate, and salad dressing. As busy Americans, packaged food is a mainstay for many families, and people do not realize the inflammatory process that is building up to destroy their health, especially in our children. Make sure you and your children get the right omega-3 fats. Even though DHA, EPA, and ALA are all omega-3 fatty acids, they are completely different in cellular process and molecule size, which impacts function and absorption. I will cover them individually in my next several blog posts.